Stove expert replied: The reviews of this stove do consistently mention that this stove smokes into the room and you have clearly had the same experience. It is clear that because it is heavily baffled it needs a tall chimney and a good draw and it would certainly appear that any bends in the system should be avoided. Why the stove should still smoke into the room even when you have a fan on the flue is nonetheless hard to understand. With high output boiler stoves it is always recommended to use a load unit to keep the firebox temperature up, burn very dry wood and only re-fuel once the existing load has burnt down to red embers. Nonetheless from the reviews it appears that everything has been tried but these stoves still have a tendency to smoke when the door is opened. I understand that this has now been removed and the replacement boiler is operating well. with no further adjustment to the flue or other elements of the installation. Great stove, used to heat a 1000Ltr accumulator tank servicing a new 200m2 house. Note this stove requires alot of wood! Also currently only stove that gets the MCS grant. 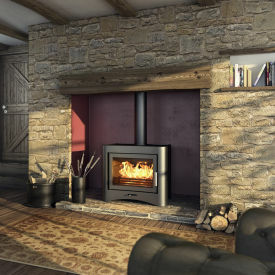 Stove expert replied: Is there an air brick in the room to provide enough free air for combustion? It seems strange to have this problem when the flue draw appears to be adequate even greater than recommended for the product. 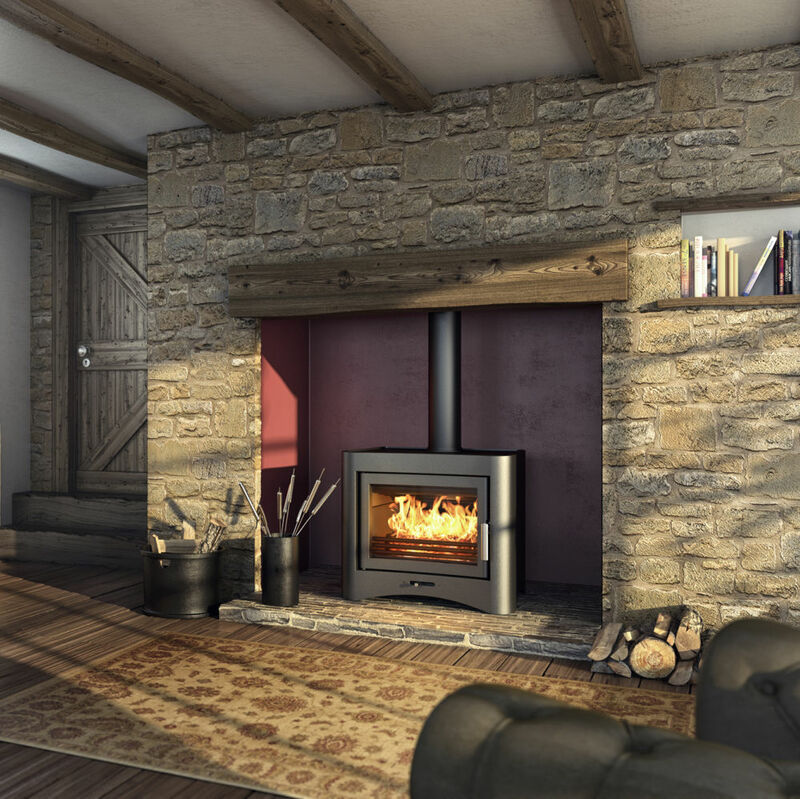 Is there another chimney in the property that could have a better draw, (so when the balance is altered by opening the door, the flue does not have enough lift to take the smoke up the chimney)? Stove expert replied: These are good boiler stoves and it should perform well to heat the home and as you say when working it does this, the refuelling is the problem area - this is not a stove fault. Regarding the problem with smoke coming back into room, this is usually down to the installation / flue system. Is there enough free air in the room for combustion to occur? Is there an anti downdraught cowl fitted to the flue system? Have you another flue in the property that may have a stronger draw on it to the one being used for this stove? Access to the flue for sweeping should always be provided and this should normally coincide with being able to remove any debris from the top of the baffle plate. Perhaps looking into the complete installation before removal would be beneficial as it is a costly change that may not be totally necessary. Stove expert replied: If the stove is too powerful for your property then it will not be working effectively as it has no need to! Is there an airbrick in the room? What height is the flue system? Is the wood dry and well seasoned with a moisture content of less than 20%? Has it been installed as per the manufacturers instructions? Further investigation by a qualified heating engineer who is Hetas registered is recommended to hopefully improve the performance that you are experiencing. Stove expert replied: I doubt it is the stove that is at fault but the installation that prevents the flue gases from lifting away from the firebox on opening of the door. Is there an air brick in the room? What height is the flue system and what is the construction.? Have you other flues in the property? Further investigation may improve this further as alternative remidies are normally possible once the cause if found.